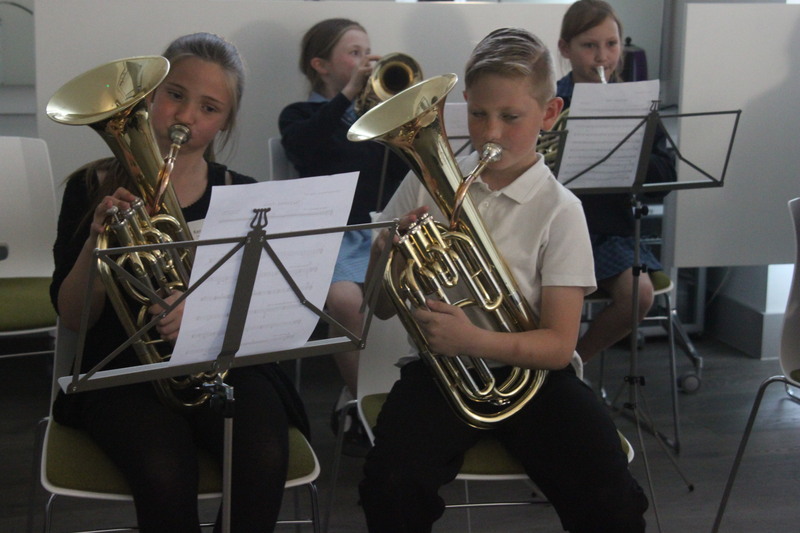 Following on from our first dedicated music day last year, NGHS participated in BBC’s Ten Pieces as part of BBC Music Day 2017. 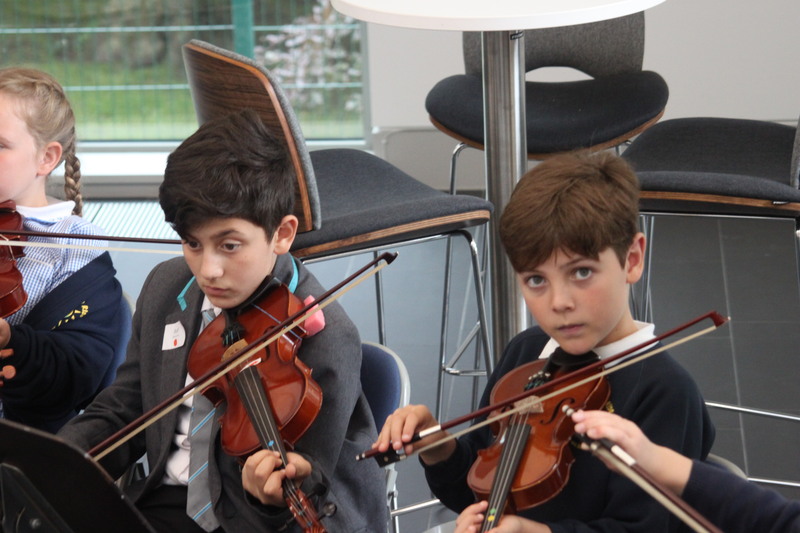 The event took place in our fantastic new performing arts center ‘the space’ – a dedicated professional theatre for our girls and the wider community. 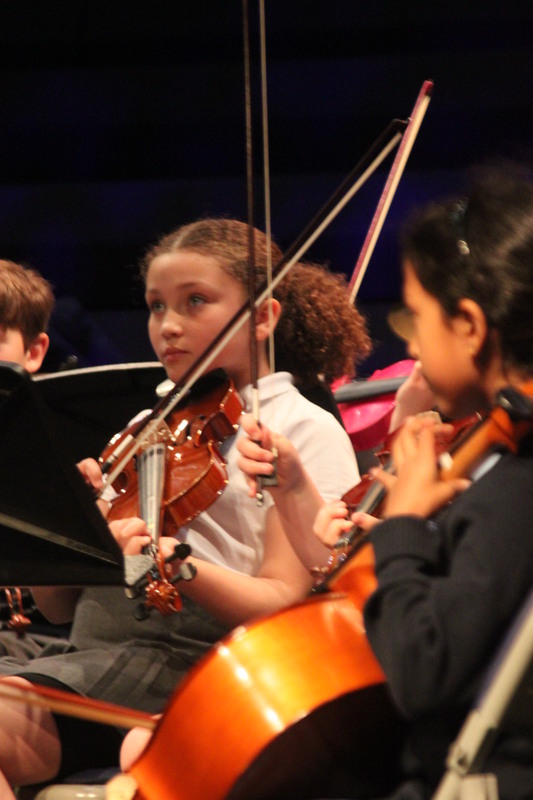 For the first time, our girls were able to rehearse and perform alongside other young Nottingham musicians, with 19 pupils from Edna G Olds Academy, Edale Rise Primary School and Cantrell Primary School joining us for the day. 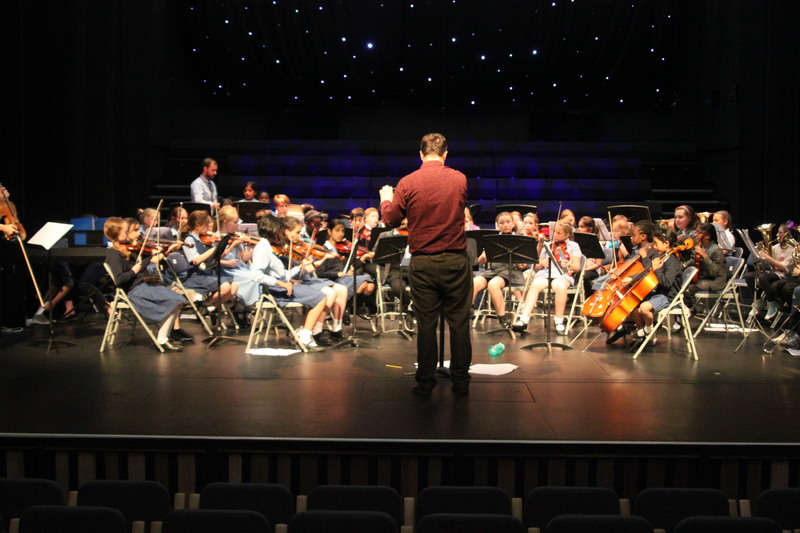 The day kicked off with an informative introduction to ‘the space’ before children watched a video of Bernstein’s ‘Mambo’ from West Side Story – the first piece of music the musicians will learn in their sections. Brass, wind, strings and percussion were then separated to rehearse individually, before coming together for a group rehearsal before lunch. The afternoon introduced Stravinsky’s ‘Firebird’ – a more challenging and complex piece of music. 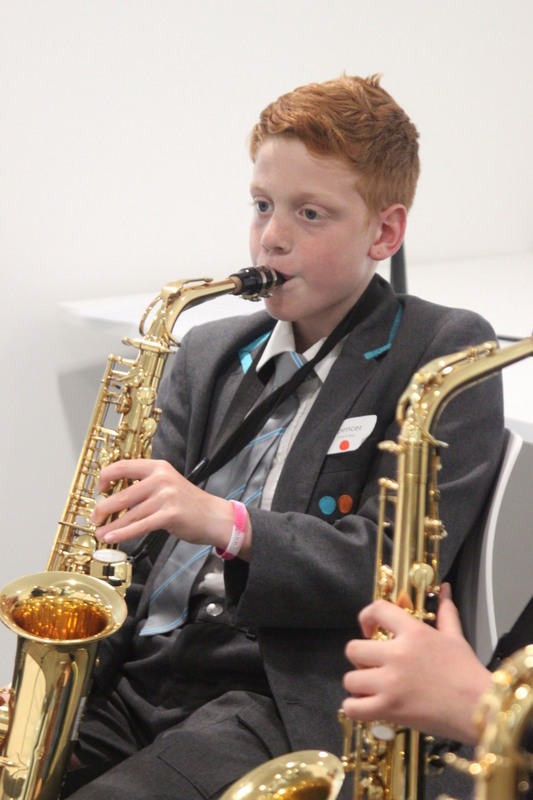 After some dedicated rehearsal time, both Mambo and Firebird were performed and streamed live to the BBC. The BBC were also impressed with our young musicians and featured our montage video on their website as part of their Music Day 2017. You can view it here. Photographs from the day are also available to view and download from our Reach Out Facebook page here.